Rechtzeitig zur Deutschlandtournee habe ich mal wieder ein aktuelles Band Mitglied für ein kurzes Interview gewinnen können. Hier könnt Ihgr unter anderem nachlesen, was Kim über den Anfang eines Konzertes denkt, wie eine Setlist entsteht, über seine Kontakte zu den Fans und vieles mehr! eltonjohn-fan.de: Kim, you are now nearly 7 years ín the Elton John Band. What can you tell us about the time with the band? Kim Bullard: Its gone by fast! I can’t believe its already been that long. eltonjohn-fan.de:The first tunes in an Elton John concert are coming from your keyboard. What do you feel when Elton walks on stage to the tntro of Funeral For A Friend/Love Lies Bleeding? Do you get goosebumbs? Kim Bullard: I don’t know of another opener from any band that is more dramatic than Funeral into Love Lies Bleeding…. I feel like we start our show where a lot of acts finish. I can appreciate how it must look and sound from the audience viewpoint, and I understand your ‘goosebump’ comment, but it is different thing standing where I stand. As much as I enjoy the drama of that piece, I am not seeing it as a member of the audience. I focus on what I am doing… mostly because over the last year or so, Elton decided to keep the stage absolutely black during my intro, having the lights finally come on when he plays the first chord, after he sits down at the piano. This makes for good theater, but unless we are outside and it is still light out, this leaves me literally in the dark to play that whole intro. I am Stevie Wonder up there, playing blind; I can’t see anything. There is a lot happening on that intro, it is tricky to make it sound right, especially when you can’t see your hands or feet (I use pedals to pull sounds in and out on that intro), so I am paying attention to what I am doing; I’m not getting caught up in the excitement of the show. Also, Elton makes it a point to catch up with everyone before a show, comes to the dressing room to hang out, to see what everyone has been up to, so its not a surprise when he comes out on stage, because we have just been talking. Actually, come to think of it, I would get goosebumps if he DIDN’T come out on stage…. that would be kind of thrilling… figuring out what to do next!! Our whole day revolves around doing a show, so as we wait offstage for the lights to go down, we get a little worked up in our own individual ways; not nervous, just anxious to get up there and do what we do…like race horses love to run, we like what we do. eltonjohn-fan.de: In Tel Aviy Elton and the band played 27 Songs and in that 3 songs from Wonderful Crazy Night. Is this the final Setlist for the European Summer Tour 2016 or are there any changes planed? Kim Bullard: It is hard to make a set list because there are so many epic songs that he has to include, in order to not disappoint people. We could do an entirely separate show with songs he leaves out that would be an incredible show. But to answer your question, yes, I believe the set list will change up a bit. He has already shifted some things around, while we were on stage, so I think he wants to shift the set around. eltonjohn-fan.de: You have many contacts to Elton fans during the touring. We often see pictures with you and Elton fans in the social media. What doés it mean to have so many contacts? Kim Bullard: It simply means that I say hello to fans when approached. If it was not for fans, we would not get to do what we do, so in a real way, the fans are the boss, and deserve to be treated well. The Elton John touring organization is probably the top of its kind. The people who work in this organization are all ambassadors to Elton. People we come in contact with, the drivers, bellmen, our flight crew, the backstage organizers, etc, always comment on what a good group we have. Its ‘top down’ mentality… we are treated well by Elton, so in turn, we treat others well, and that includes fans. I regret when I cannot say hello sometimes, or respond to things. There is limited time around a show for us. We have a lot to do… while a fan is enjoying a night out, it is a work day for us, so it can be hard to spend time with people, but we try. 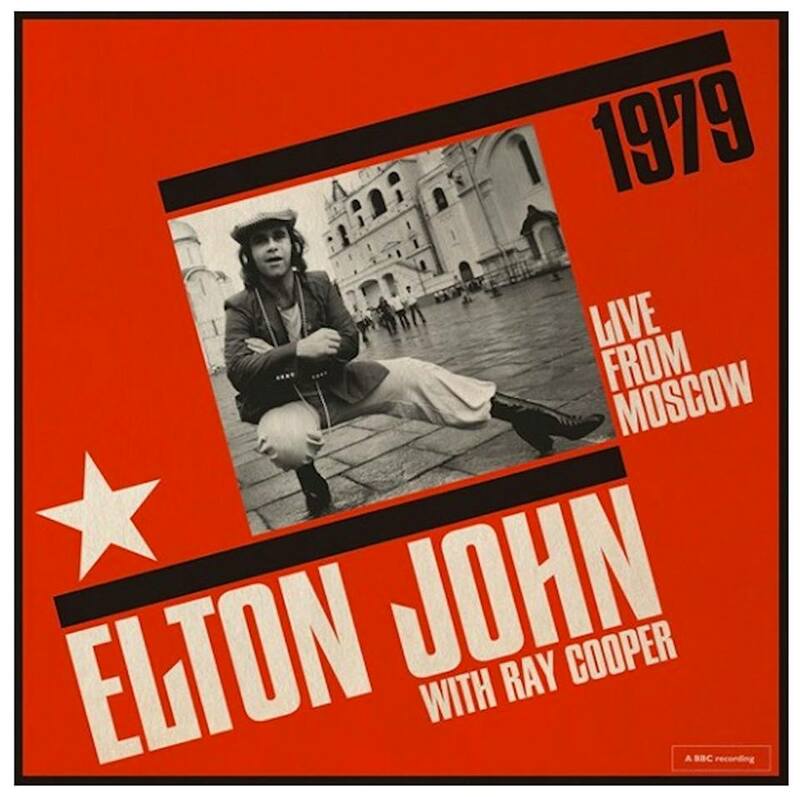 eltonjohn-fan.de: Wonderful Crazy Night was the first Elton John Album you be part of. What it´s like to work with Elton in the Studio? Kim Bullard: You have to go with your gut and not overthink things when working with him, because he likes to move quickly, which is a lot of fun. I worked very hard on a Broadway musical with him before we went in to to the album, which was more orchestration and programming on a bunch of demos. But what was great about the Wonderful Crazy Night experience was that was the first time I worked with Elton, plus the whole band, plus T-Bone Burnett. The band has so many miles together as musicians that we have a certain kind of intuition with each other. It’s a gift to bring that into the studio, to cut stuff live, all playing at the same time. eltonjohn-fan.de: Your favorite Song from Wonderful Crazy Night is? Kim Bullard: It was one that didn’t make it on the record.. Children’s Song, I think it was called. It might show up on a special release somewhere. It ultimately did not fit in with the other songs, but it really touched me somehow…I love my kids more than anything, and a song that is written with a humble tone, from a parent to a child, connects with me in a big way at this point in my life. Do you have any private contacts to Elton or the other band members? eltonjohn-fan.de: Do you do something togehter when you have free time? Kim Bullard: During time off Elton stays in touch, sends funny emails, stuff like that. We spend more time together traveling, as a band, than we do with our own families, so the time we have with our actual families is extremely precious; we like to pay attention to our loved ones when we are not working. If I happen to have some music work I need done during the time off from Elton, I will call my bandmates for help. There is no one else I would rather work with than these guys. They are all great musicians, and are always up to work on other music projects, so I will see them in that capacity, or for a dinner gathering or something like that. I have run into our road manager at a yoga class in LA before, and I enjoy that. The ‘home’ family and the ‘road’ family can be quite disparate. Integrating and connecting those two worlds makes the traveling life easier. eltonjohn-fan.de: Kim, we say Thank You! for this wonderful Interview!